I’ve declared the time between now and August 2016 a year for our spiritual community, Jaya Kula, to discover and explore the nature of generosity. Want to join us? The inspiration is Jupiter’s recent transit into Leo. The opportunities of this transit are either to relax and share, or bloat up. By “bloat,” I mean literally get fat, or become inflated with gaseous self-aggrandizement that everyone but you can smell. So how to discover greater generosity? In yogic traditions, you sometimes hear the admonition to “dig one well deep.” This means consolidate your energies into learning from one tradition and one teacher and go deep into a limited number of spiritual practices. The idea is that if you dig fifty shallow wells, you will die of thirst. But if you dig one well deep, you will hit water. On a more comprehensive level, you dig a deep spiritual “well” by continuously aligning your body, energy and mind with the process of waking up, whether you are on a meditation cushion, cooking a meal or at your job. When a person begins to live, always remembering essence nature, immersed in living presence, eventually theythemselves become the ever-flowing, sweet well water which everyone around them can drink. This is the aspect of “dig one well deep” that is often left out. A well is not for an individual alone; it is for nourishing a community. In Western culture, we tend to think that doing good things for other people is generosity. But we can do good works with a bad attitude. We can act “helpfully” in order to manipulate others, all the while telling ourselves that we are being generous. For instance, perhaps we have a job that contributes something positive to our community, but then when we come home, we treat our partner or spouse with disdain. We can also have such a limited view of a situation, that we are not able to discern what is of benefit to others and what is not. Giving money to a person who is broke because of drug or alcohol addiction—should we do that, or not? And how should we choose in particular circumstances? Some people believe that devoting one’s time to practices of waking up is selfish. They think we should keep the amount of time we spend doing sadhana strictly regulated so that spirituality does not “interfere” with other aspects of life where we are doing things for others. 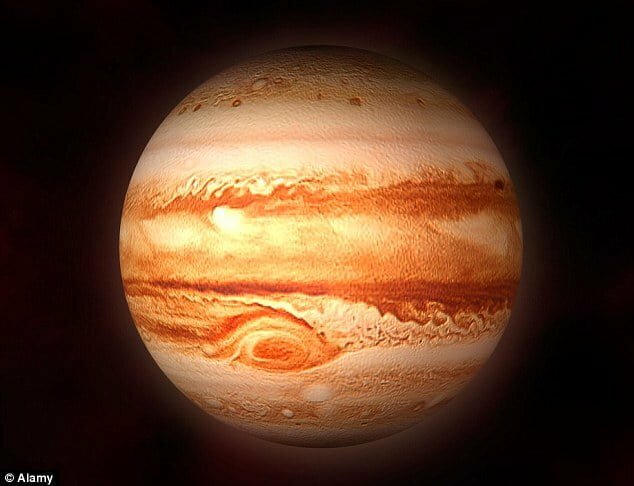 Jupiter teaches us about natural generosity and friendliness to all, about generosity unfettered by fear, defensiveness and the self-protective aggression of our compulsive self. Jupiter means “Guru” or our most expansive, all-encompassing wisdom. The lesson of Jupiter is that generosity flows naturally from following wisdom, not from following our mental concepts and constructs, and certainly not from following fixation and compartmentalization. In this year of Jupiter in Leo, let’s commit ourselves to following what our wisdom heart most deeply desires. Let’s use our courage to try to align ourselves unbrokenly with that. In courageously fulfilling the desires of our wisdom heart, generosity will be the natural, effortless result. We will get back in touch with the effulgence of our own Self, and there will be no question of doing anything other than letting it flow out. If you are a practitioner, make this the year that you increase your efforts to do sadhana and rest in the state of your practice no matter where you are or what you are doing. The energy of Jupiter will help you to accomplish this. When you feel tensions of small self arise, make a decision right then and there to relax and open your heart. If you cannot do this, then chant mantra internally when you are out and about and externally at home. Or just apply whatever practice seems best in the moment. When you are in the state of your practice, and not in a condition of fixation on small self, your inherent generosity will express itself. The water in the house in which I grew up was supplied by an underground spring. I still have vivid memories of running the pure, sweet water into my mouth directly from the source. Don’t stop to ask “how can I be generous?” Or “What good works can I do?” Do the work to move aside whatever is blocking the spring from filling the well. Then generosity will find its own form naturally, like cool sweet water flowing from the source.